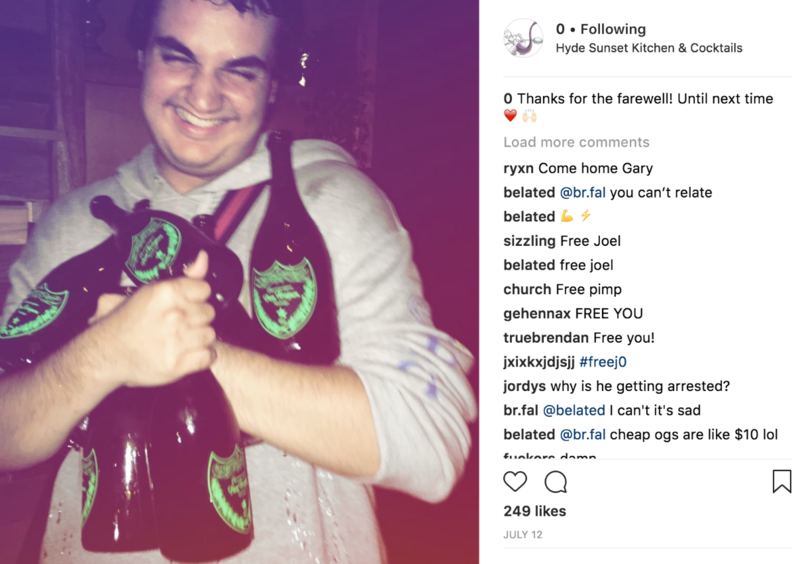 A July 2018 posting from the “OG” Instagram account “0”, allegedly an account hijacked by Joel Ortiz (pictured holding an armload of Dom Perignon champagne). Ogusers SIM swapper “j” advises forum members on how not to become victims of SIM swapping. Click to enlarge. This entry was posted on Thursday, August 16th, 2018 at 1:01 pm	and is filed under A Little Sunshine, Ne'er-Do-Well News, The Coming Storm, Time to Patch. You can follow any comments to this entry through the RSS 2.0 feed. Both comments and pings are currently closed. I am skeptical that the google voice this is good fix. The problems that I see are (a) now one is exposed to google insiders (b) the google voice number can go away (or alternatively the google voice service can go away) since this service is nowhere near as mainstream as AT&T or similar cell phone services. If it goes away then you’ll just have to move to a different VOIP provider. Not a big deal. Former Googler here. Worked with one of the security teams for 6 months. I’ll be the first to admit that Google isn’t perfect, but their internal security? Damn near it. Trust me when I say that the more things you get over to Google the more security you will have. Exposed to Google insiders? EXTREMELY unlikely. The reason is that there are incredibly advanced systems and policy controls in place making sure that an employee will not become a threat. First, very few people in the organization have any access at all to user information like that, being only those who absolutely need that access. At every point the internal controls favor not providing access to any of this information whenever possible. If they can access only a small portion of user records to do the necessary work, or use anonymized user data they will every time. Those that do have access are under very tight surveillance when they do access these systems. Second, someone WOULD NOTICE. It’s not one of those places where things slip through the cracks. Access is highly granular. Multiple systems are ensuring user data safety and privacy. It’s hard to illegitimately access data when you must file a report to gain access to it, and every activity is subject to meticulous auditing. One problem with using GV: many businesses, especially in the financial industry, consider the use of VoIP numbers like GV to be a fraud indicator. Be prepared for the possibility of additional hassle, ranging from account freezes that require in-person verification to account closures or denials. How do old-fashioned landlines stack up? While the carrier might be the same AT&T or Verizon that can’t keep cell phones secure, by their nature they eliminate the SIM swapping issue. You still might be vulnerable to fraudulent port-outs, fraudulent service moves (but at least you’d have a physical address to send the cops to), or call forwarding, but those can be mitigated to some extent with account PINs, port-out blocks, etc. As is seen in mobile, those measures aren’t completely effective in the face of incompetent or corrupt employees, but there still may be a benefit: the proliferation of cell phone stores and authorized resellers seemingly makes it easy for criminals to find willing insiders, while there are fewer opportunities to establish relationships with corrupt insiders in the landline department of a telco. At least two financial institutions I’ve dealt with require a call from the phone number in your profile at the financial institution to activate a payment card, credit or debit card. 2) Sometime the notification to my phone of an incoming call didn’t work. This is not an issue for the trick advocated, though. The trouble with this advice is that it asks you to trust Google, which I’m afraid is a no no as far as I’m concerned, Google are just as usless at security as everyone else, the only difference between google/apple mega-corps is the better at burying bad news, their no more secure, no more honest than anybody else. The best thing to do to secure devices is to do what Google etc have done and use secure keys, I shall be saving up my £80 for one that works on android, I would rather trust that than a know bunch of liers like google, tracking data at all times, even when turned off !!!! If one sets up a single-use Google account, there isn’t much to “trust Google” with. All it–or somebody who managed to hack your account–will know is that certain websites send SMS messages. No real names, login names, passwords, browsing history, or contact information need to be exposed to the Google or Google Voice accounts beyond a phone number (that can be deleted after the GV mobile app is installed). Beyond that, we’re talking about risk management here. Security is about tradeoffs. Personally, I feel using GV on websites that don’t offer non-SMS authentication is less risky than relying on my mobile phone provider to not carry out a SIM-swap. GV has far fewer points of failure including, perhaps most importantly, not having a far flung network of retail locations staffed by poorly paid, high turnover workers. I’m sorry, but lumping Google, whose business model depends on slurping every bit of informatin, including personal information, and in some cases selling it would n to dodgy “analytics” firms in the pay of fascist political organizations, is a lot different from that of Apple, who routinely go to the mat with the federal government to protect user privacy. Both want to make a buck off you, but only one does it with your personal information. So Google certainly collects personal data, however, did you know that you have the control to delete all the data they have on you? Try getting that from Apple (or anywhere else). If you think that they and all these other places aren’t selling your data, you’re living in a dream world. Every. Single. Data. Firm. Every one is using your data in different ways. At least Google tries to be very transparent about that. Good example of the flawed thought that leads people to be so wary of Google: A major car review magazine wrote a review of Android Auto some time ago. Their verdict? They preferred Mercedes and Apple smart car systems because Google shows a message that tells you they will collect your data and use it for certain things. They received no such warning from the other two, and that SOMEHOW made them feel more secure. Idiotic. Google was transparent about it, the other two services didn’t do anything to try to let you know what was going on and make sure you consent. Why exactly is that better? Really believe the other two just aren’t collecting that data? If you do, I’ve got some really bad news for you. By any chance can you give some real world examples of how Google is “just as useless at security as everyone else.” As a former Googler who worked with their security staff for a quarter, I think that statement more than a little spurious. Unlike all these typical companies that take the “we’ll put money into security stuff IF or WHEN something happens” route, Google is willing to dump nearly unlimited amounts of money into security precisely because user trust is so important to their business model. 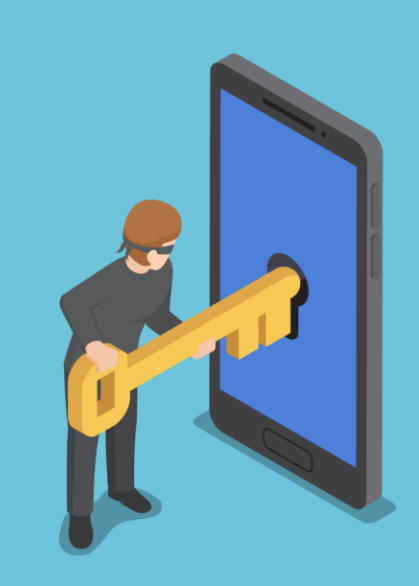 One thing I’ve not seen much discussion of when it comes to the sending of security keys via SMS are the alternate methods the big cell phone companies provide to their users for accessing their SMS. Verizon, for example, provides additional access by way of a web app as well as multi-platform apps (desktop, android, ios, etc.). Those apps do not tend to be protected by any form of 2FA that I’m aware of. Presumably, one would only need to wrangle the account online password out of the customer support agent in order to get access to the web app and read texts. At least with Google Voice, you can leverage Google’s multiple methods of 2FA to limit unauthorized access to the many avenues by which you can receive Google Voice messages. That said, the additional protection that comes from the limited customer support available for Google Voice means you’re out of luck if you ever really do need customer support. The forums are manned primarily by volunteers who can only do so much when things go wrong. I abandoned GV several years back when it simply stopped forwarding calls and after days back and forth with the community forum hosts, we couldn’t fix the problem. I quite agree that everything is stored on our mobile device and if it is stolen or left you face big issues. Noonethought of this before smart phones came and now that they are in everyday use you do not think of consequences of your smart phone loss. i do not think that operators, app creators or any provider could be made responsible for your acts. You need to face your attitude. The introduction of cell phones has created multiple security breaches. There are too many ways in which people can spy on us nowadays and we are letting it happen for the sake of convenience. This needs to be taken under control fast.